So, What is a Brand and Why Do I Need It? - DoubleTake Design, Inc. It is imperative that companies have a unique and memorable brand these days. Why? Because there is so much information, so much clutter, distracting potential clients from hearing about how you can solve their problem. If your potential customers don’t hear about you, then they will never consider you. It’s as if you don’t exist. So you need to get your unique brand story in front of your ideal customers to be considered. Without nailing down the brand and messaging — what you do, who you do it for, and how you uniquely do it better than anyone else — your website or any marketing tactic won’t attract the customers you want and it certainly won’t get them to act or remember you later. You’ll also be wasting your valuable money. Before we go further, let’s define what a brand is and isn’t. It’s most definitely not just a logo. 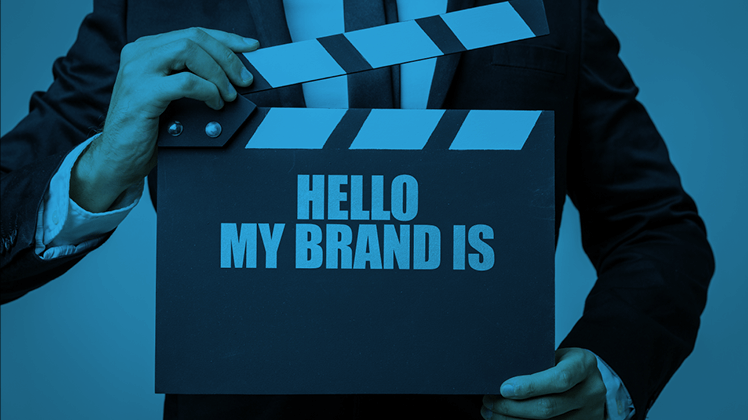 A brand is not merely a symbol or a name, but the culmination of communications and experiences that a person receives from every contact with your organization. It’s a promise you make to customers and colleagues with everything you do and say. To be successful and have a strong brand, you must deliver on that promise every single time. If You Don’t Define Yourself, Someone Else Will. If you have been in business for a few years, you have a brand. Even if you feel you haven’t done any marketing, you do stand for something in the minds of your customers and others who interact with you. Every interaction you have with someone starts to cement an image in their mind of what you stand for, including strengths and weaknesses. You need to get a handle on what that image is, what you want it to be, and how you are going to bridge the gap in perception, if there is one. So, tell them what your brand is. Then tell them again. Then show them. Show them every time you interact with them. If you don’t clearly tell your customers who you are and how you can help them, they may form their own impression that is wrong, limited, or worse yet, competitors may start to influence how others think about your company. Take charge and manage that brand. Have you ever asked your best customers how they would describe your company? Were you surprised by what they said? Did you walk away feeling like they really didn’t know the full extent of what your company could do? Maybe that is because you didn’t tell or show them clearly enough. Ready to work on your brand? There are four key components of a strong brand that you need to identify. They make up the foundation of your brand and all communications. The first component of a strong brand ties heavily into your organization’s overall strategy. It is the DNA of your organization. It encompasses your core values, mission, purpose and vision. Who you are (core values, mission, and purpose) and who you want to be (vision) provide the foundation for your brand. This never changes. How you go to market may change over time, but why you are in this business and how you behave as an organization doesn’t change. The second component of a strong brand is defining your ideal target market. Knowing who would most likely benefit from your products or services — and knowing their challenges and needs inside and out — will help you craft a strong brand message that resonates with and, most importantly, ATTRACTS the right people. The more focused you are on your target market, the more they will love you because you will speak their language and produce exactly the type of product or service they need. Best of all, they will refer you to other customers just like them. The third component of a strong brand is all about differentiation. Understanding how your company is different from competitors is essential to helping you stand out in the marketplace. Is your product or service different from other offerings in a way that is meaningful to your customers? Is the way you deliver the product or service different? Do you emphasize innovation or customer service? These differentiating factors help you stand out, grab attention, and be memorable to the right customers. 4. What is Your Personality? The fourth component of a strong brand is your personality — visually and in terms of tone of voice. Consistency is the name of the game when it comes to a strong brand. Your messaging, logo, and the design style you use for all of your marketing should be consistent, so your customers can recognize it. Is your marketing funny? Whimsical? Traditional? Modern? Serious? Retro? Futuristic? How you represent your brand visually and through marketing messages tells your customer what to expect when they work with you. This is where your logo, your website design, and even the tone of voice in your blog posts or videos come in. Your design and marketing team will help you reinforce the promise you make to your customers in all of your marketing material. Investing time to identify, create and maintain a strong brand helps you get noticed and forge a connection with your customers. Reach out to our team to get started today. Sue Kirchner is the CEO of Brand Strong Marketing and helps small businesses build stronger, healthier brands using blogging, speaking, and social media to tell their story and attract more clients. DoubleTake Design has partnered with Brand Strong for over a decade, bringing our respective expertise to bear on behalf of our clients. Contact Sue Kirchner at sue@brandstrongmarketing.com.